It’s getting very close to that time again… time to cosy up in your comfy sweater, snuggle up on the couch with a big fluffy blanket and dive into a great book. 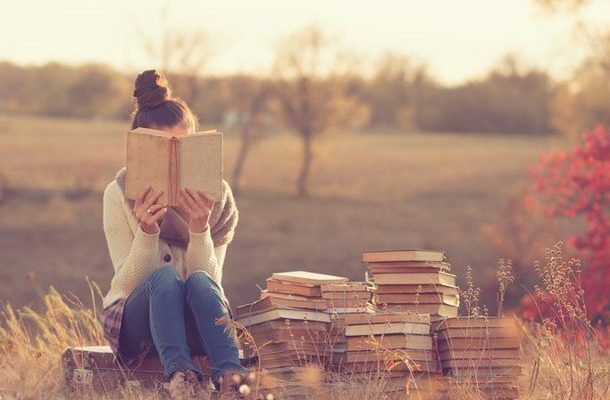 We don’t know about you, but there’s something about autumn weather that makes reading so appealing (although to be fair, any time is a good time to read) especially if you’re lucky enough to do so in front of a crackling fire. We’re quietly confident that our Autumn reading list has something just for you! In fact we know you’ll find a page-turner you’ll love, because as always, we’ve covered every genre, books for all ages and we’ve even included our fave audiobooks too. We think it’s important to recommend audiobooks (audiobooks will literally change your commute to and from work – they’re the best!) because a great book can be ruined by a bad narrator, so we’ve based our recommendations on both the story and the narrator. 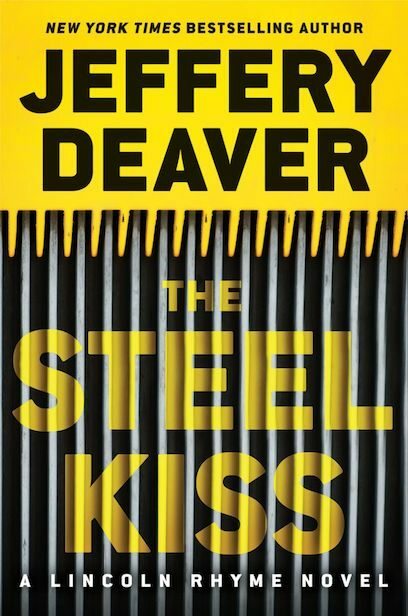 Bestseller Deaver’s 12th Lincoln Rhyme novel is a fast-paced thriller with a brilliantly complex suspect, diverse cast and ingenious interpretations of trace evidence and profile interwoven through the nicely balanced plot. Don’t expect to put this one down easily. It’s definitely one of those sought after “just one more chapter and then I’ll go to sleep” books. Nicholas Carter is content with his life at sea, free from the Ironwoods—a powerful family in the colonies—and the servitude he’s known at their hands. But with the arrival of an unusual passenger on his ship comes the insistent pull of the past that he can’t escape and the family that won’t let him go so easily. Now the Ironwoods are searching for a stolen object of untold value, one they believe only Etta, Nicholas’ passenger, can find. In order to protect her, he must ensure she brings it back to them – whether she wants to or not. First reaction upon finishing this book? How the hell are we going to be able to wait for book two to be released?! We’re already jealous of anyone who hasn’t read this book, because they get to read it for the first time. Oh the places we got to time travel to in Passenger – amazing! And what really makes the time travel storyline so fun, in addition to the intense race against the clock for answers the characters are dealing with, is how the detail Alexander weaves really just drops you head first into all these places to make you really feel like you are there and really getting a sense of the time. One moment you’re on a ship in the 1700’s and the next you’re outrunning bombs during WWII. 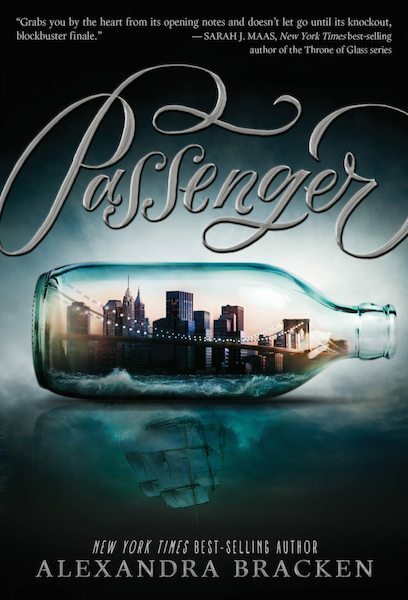 If you loved the Time Travellers Wife – you’re going to fall in love with Passenger. 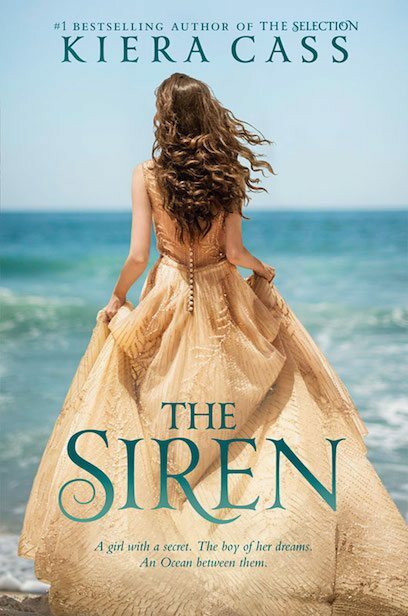 Don’t dismiss this book based on Cass’s The Selection series (that is, if you didn’t enjoy The Selection series) because the truth is the two are nothing at all alike. The characters, the world, the tone of voice, are all so very different. Still looking for a sign that this book is worth the read? 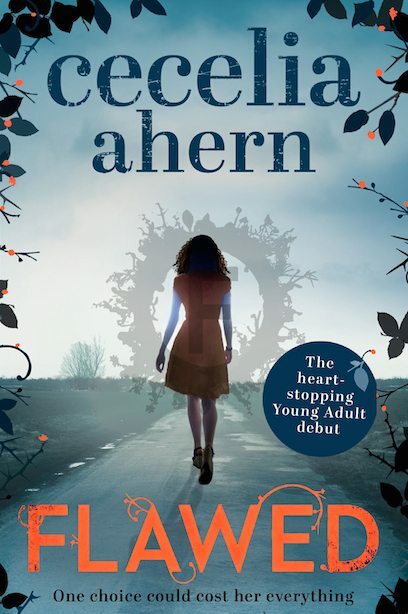 Cecelia Ahern’s, Flawed, has been snapped up by film giants Warner Bros. and is set to made into a movie. There’s your sign! From the #1 New York Times bestselling author of Grace’s Guide, YouTuber comedian, and the host of The Grace Helbig Show on E! 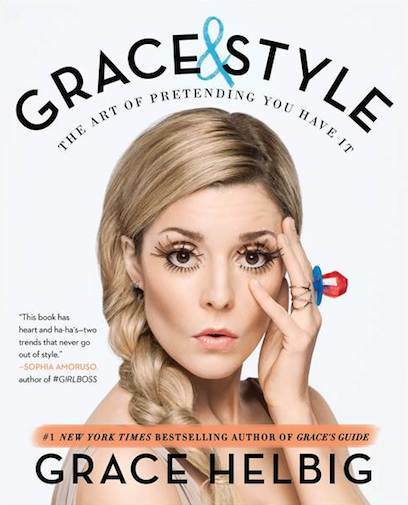 comes a beautifully illustrated, tongue-in-cheek book about style that lampoons fashion and beauty guides while offering practical advice in Grace Helbig’s trademark sweet and irreverent voice. At first glance, this may look like a quirky style guide from the perspective of your favourite YouTuber, but it’s actually a fun read about how Helbig faces the world of fashion. Unlike typical style guides that advise readers about what to wear on a job interview or how to achieve the perfect winged eyeliner, Helbig takes the opportunity to talk about her personal relationship with clothes, share her favourite ways to trick people into thinking you took a shower, and her dedication to what she believes are the 10 commandments of online shopping. Helbig doesn’t sugarcoat anything. We don’t know about you, but we’d much rather read a breakup letter to a pair of heels (which Grace does) than an essay about why we should create a ‘capsule wardrobe’ with only 10 pairs of need-to-own heels (yawn). It’s fun, real, quirky and enjoyable. Worth picking up. Janie and Micah, Micah and Janie. That’s how it’s been ever since elementary school, when Janie Vivien moved next door. Janie says Micah is everything she is not. Where Micah is shy, Janie is outgoing. Where Micah loves music, Janie loves art. It’s the perfect friendship – as long as no one finds out about it. But then Janie goes missing and everything Micah thought he knew about his best friend is coloured with doubt. Using a nonlinear writing style and dual narrators, Amy Zhang reveals the circumstances surrounding Janie’s disappearance in a second novel. 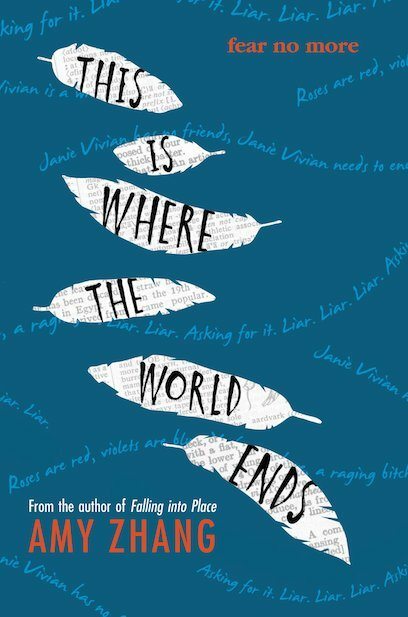 Similar to Falling Into Place, This Is Where The World Ends by Amy Zhang is one of those read-in-a-single-day kind of books that will have you feeling a rollercoaster of emotions. Meet the new breed of self-help books that are bypassing life-affirming speeches and swearing by… well, swearing. This brilliant, hilarious, and practical parody of Marie Kondo’s bestseller The Life-Changing Magic of Tidying Up explains how to rid yourself of unwanted obligations, shame, and guilt – and give your f**ks instead to people and things that make you happy. The easy-to-use, two-step ‘not sorry method’ for mental decluttering will help you unleash the power of not giving a f**k about: family drama, having a “bikini body”, co-workers’ opinions, pets, and children and other bullsh*t! And it will free you to spend your time, energy, and money on the things that really matter. F**k dithering because you might be wrong. F**k persevering with that dead-end conversation. And definitely f**k giving a f**k about what anyone else thinks. It isn’t just shock tactics; studies have shown that swearing can help release the body’s natural analgesic. Screaming “F**k!” when you absent-mindedly smash your funny bone, can genuinely make the throbbing hurt a little less. The word takes all your frustration, exhaustion and fury and boils it down into one satisfying syllable, so transferring that response to mental or emotional trauma makes sense. 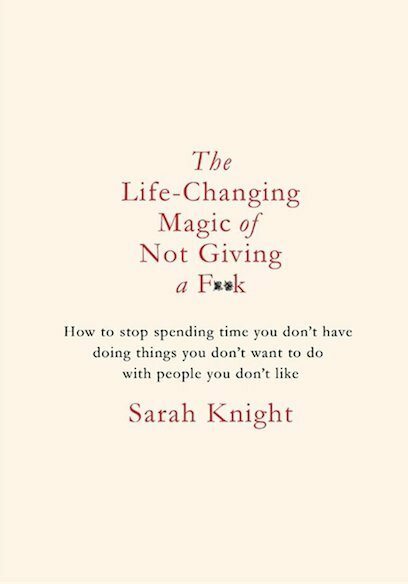 Sarah Knight’s The Life-Changing Magic of Not Giving a F**k aims to advise you “how to stop spending time you don’t have, doing things you don’t want to do, with people you don’t like”. 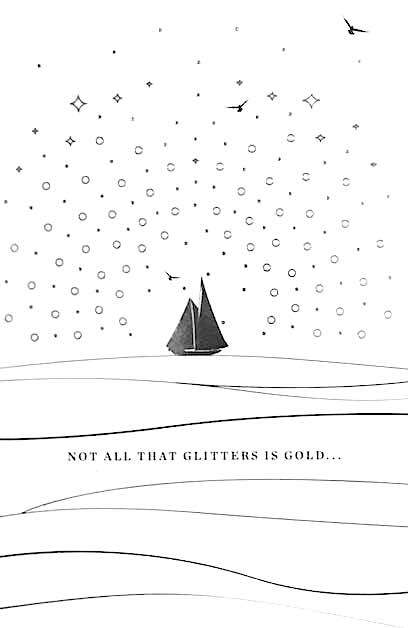 Don’t know if you can tell from the above – but we genuinely f**king love this book! 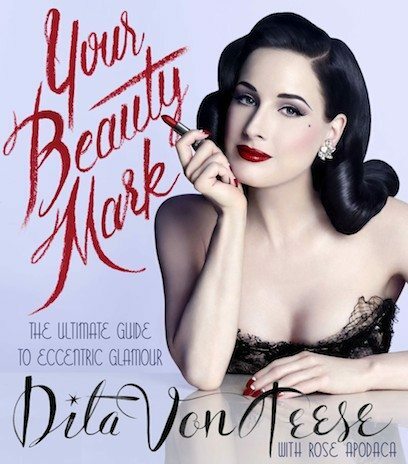 Dita Von Teese divulges the beauty secrets that have earned her a frequent spot on international best dressed lists and high-profile fashion show rosters. She takes the reader through every step of her signature looks – from her perfectly coiffed hair to her flawless skin and makeup – and turns to experts and friends for advice. Not only does this book hold a plethora of knowledge, alongside stunning photography, it looks absolutely drop-dead-gorgeous on your living room table (and quite the conversation starter at that). There’s nothing we love more than bunches and bunches of beautiful flowers. They’re what makes a house feel like a home; yet I think everyone can relate when we say, trying to recreate a floral arrangement that’s room-worthy is actually damn hard and even more so, frustrating. Envisaging a beautiful arrangement of freshly cut flowers, we go to our garden and snip away, only to find that once we’ve put flower to vase, our arrangement looks nothing like what we imagined. Why? Because floral arrangement is an art, and who better to teach us this art than Carole. 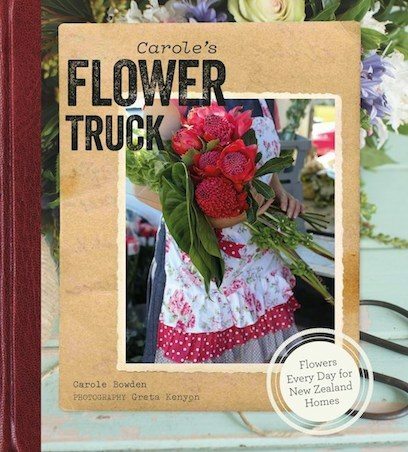 Carole Bowden’s flower truck is a Remuera fixture on Shore Road, rain or shine, winter and summer, and Carole’s mission is to inspire everyone to enjoy flowers in their homes every day. Her floral philosophy is based on using locally grown, market-fresh flowers rather than imported blooms – this is both better for the environment and easier on the budget. We’ve referred to this book religiously over the last few months and it’s simply brilliant. There are tips and hints on getting the most from your flowers, plus step-by-steps to creating Carole’s famous ‘park posies’, jam jar posies and hydrangea bouquets and how to make circlets and garlands. Great ideas for every day as well as special events including weddings, table settings and more. If you love blooms but struggle with the end-result-aesthetics, this is the book for you! Something freaky’s going on with Sunshine’s new house . . . there’s the chill that wraps itself around her bones, the giggling she can hear in the dead of night, and then the strange shadows that lurk in her photographs. But the more weird stuff that happens, the less her mom believes her. 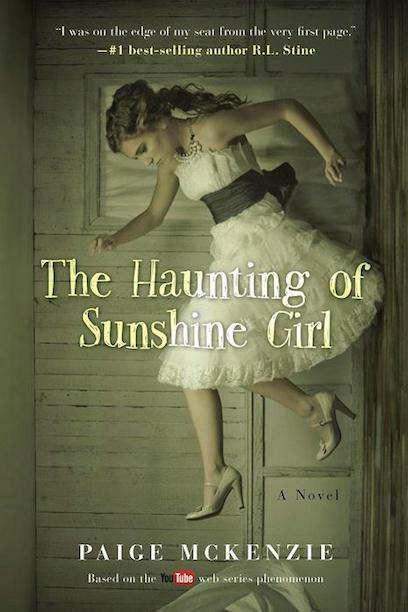 Sunshine’s always had a quirky affiliation with the past, but this time, history is getting much too close for comfort . . .
We love a scary ghost story and this one is brilliant. The narration was excellent and we were straight into the sequel (The Awakening of Sunshine Girl) the moment it ended. 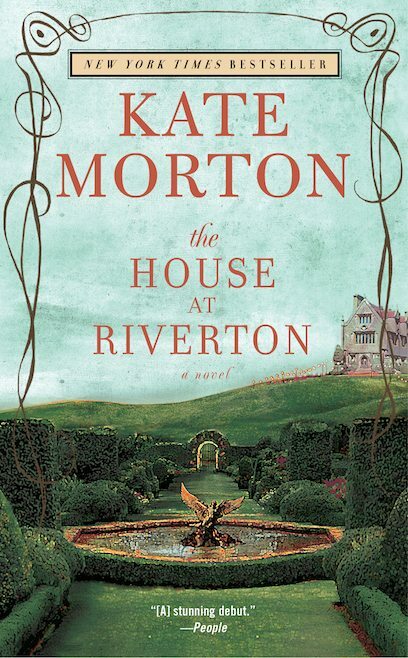 There isn’t a Kate Morton book we haven’t listened to on audible.com, and yes, we’ve loved every one. Add to a wonderful, historical mystery, the honey-toned brilliance of narrator Caroline Lee (she narrates most, if not all of Kate’s audio books) and you have yourself audio-book-perfection. The narration and storyline are so perfectly paired that you can’t help but be transported to another place and time, and the descriptive is so good that you can easily visualise every single detail. Summer 1924: On the eve of a glittering Society party, by the lake of a grand English country house, a young poet takes his life. The only witnesses, sisters Hannah and Emmeline Hartford, will never speak to each other again. Winter 1999: Grace Bradley, 98, one-time housemaid of Riverton Manor, is visited by a young director making a film about the poet’s suicide. Ghosts awaken and memories, long consigned to the dark reaches of Grace’s mind, begin to sneak back through the cracks. A shocking secret threatens to emerge; something history has forgotten but Grace never could. Set as the war-shattered Edwardian summer surrenders to the decadent twenties, The House at Riverton is a thrilling mystery and a compelling love story.